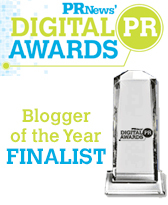 Guest blog written by Deb Brown. 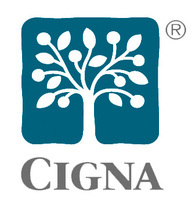 insurance company — in this case CIGNA Healthcare — refused to pay for the operation. It wasn’t until 150 teenagers and nurses protested outside CIGNA’s offices that the insurance company finally decided to reverse its decision. But, it was too late. The young girl died last Thursday. And, the family is planning to press murder or manslaughter charges against CIGNA. Maybe we do need insurance companies to be charged with murder and have several top executives thrown in jail for callously refusing to try to save a person’s life. Why does it take producers like Michael Moore, protests from teenagers, or the media in general to force insurance companies to reverse their decisions and pay for life-saving operations? This is the reason we all pay insurance premiums in the first place…so we don’t have to worry about critical procedures or medications. Apparently, the health insurance industry doesn’t seem to care too much about its reputation. According to a Harris poll from 2006, health insurance companies and HMOs are only ahead of oil and tobacco companies when it comes to doing a good job. Maybe it has something to do with H Edward Hanway’s salary and compensation? According to Forbes in 2006, Hanway, CIGNA’s CEO, had a total compensation package of $28.82 million. It’s tragic that insurance companies can continue to make these heartless decisions. This is certainly a case to follow. If CIGNA is charged with murder or manslaughter and some executives spend some time in jail, maybe then, and only then, will they see a child as a child and not as a claim form. I wonder if Hanway has a 17-year-old daughter?